Back in the day, I used to read a ton of YA sci-fi and fantasy. I think I kind of burned myself out on it because, recently, I really haven’t had much of a desire to read most books that fall into that category. But it’s no secret that Krista & Becca Ritchie are two of my favorite authors of all time, so The Raging Ones ended up at the top of 2018’s most anticipated list. I honestly wasn’t expecting to be approved for an ARC of this book, but it happened and I can’t thank St. Martin’s Press and Netgalley enough for the opportunity. I also went ahead and preordered it anyway because this is a book that I need to have on my physical bookshelf. To start off, let me just say that I love the aesthetic of this world. It’s freezing cold, it has a lilac sky, and everybody knows exactly when they’ll die. Half of the world lives in opulence while the other half is fated to live fast and die young, all of this decided by their predetermined deathdays. This is such a concept and not one that I’ve really seen before. Leave it to these authors, I swear to god. Everything they write is gold. One thing that I really dislike in a sci-fi/fantasy book is a lot of infodumping. It’s overwhelming, it takes me out of the story, and it’s often just unnecessary. I much prefer to be immersed in the new world and left to figure it out for myself. That said, I might’ve preferred a bit more information here because even after finishing the book, I’m unclear on how exactly a lot of things work. I mean, no spoilers, but I’m not sure that I 100% understand why the Saga 5 thing had to be a competition, how the emotional and physical link between our three main characters works, and how the whole deathday thing came about. Really, though, that’s a pretty minor criticism when you consider how much I truly enjoyed this book. If you’ve read anything else by the Ritchie sisters, you’ll know how talented they are at writing three-dimensional characters. They could make me care about anybody, and that’s really saying something. I loved Court (I got a bit of a hybrid Moffy/Farrow vibe from him) and Franny, but Mykal was my favorite. I always root for an underdog, and I just wanted to protect this big, burly kid from all of the pain and suffering in the world. I love that this book focuses on a friend group of two males and one female and there’s no love triangle whatsoever. THANK YOU. It’s so weird to me that this is considered Krista & Becca Ritchie’s debut novel when I’ve previously read fifteen of their books, but I guess that’s how it goes since this is their first traditionally published novel. For me, this really showed in the editing. It’s not that Krista & Becca’s books are usually poorly written or anything (they’re really not!) but everything in this book felt so much more polished. I’m not sure if it’s because it’s traditionally published and has therefore probably gone through a lot more rounds of edits or if it’s just because I’m used to reading a totally different style of book from them. My mind is blown by that ending and I don’t know if I can reasonably be expected to wait until next year for the sequel. This book completely reignited my spark for fantasy and I honestly can’t recommend it enough. 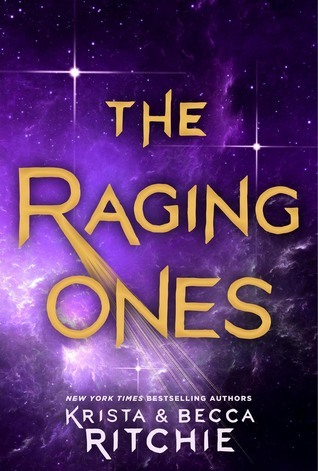 Have you read The Raging Ones? Are you a fan of Krista & Becca Ritchie? And I can’t wait to see your review! I know! I have to know what happens next! And I like that the cover is purple because my shelf definitely needs some more purple books, but I totally agree that it could be prettier. Are you participating in the blog tour? I’m not! I don’t actually know anything about the blog tour! This sounds really good! I also burned myself out on that genre, but I’m tempted to pick up a copy of this. Thank you! ❤️ And I hope you like it as much as I did! What a change in genre for them! From the sounds of things it looks like its working out for them and it would be interesting I think to do a comparison of self published vs. traditionally published books and whether authors successfully make the leap! I’m guessing they have! That would be really interesting! And it seems like Krista & Becca have successfully made the leap. I do wonder what effect this will have on their self-published books since it seems like they’re definitely slowing that down (understandable) to focus on this book and its sequel. I don’t think I have ever read a YA sci-fi when I come to think about it. 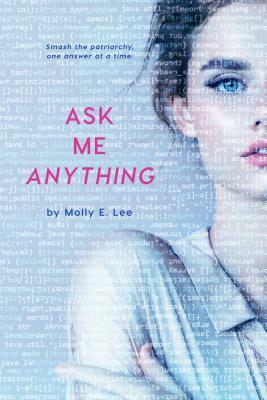 Do you think this would be a good book to start out within the genre? Yes, I think so. It has a really unique premise and it’s well-written, although like I mentioned in my review, the worldbuilding could probably be a little better. As long as you’re okay with a bunch of lingering questions until the sequel comes out, I would definitely say to give it a try!